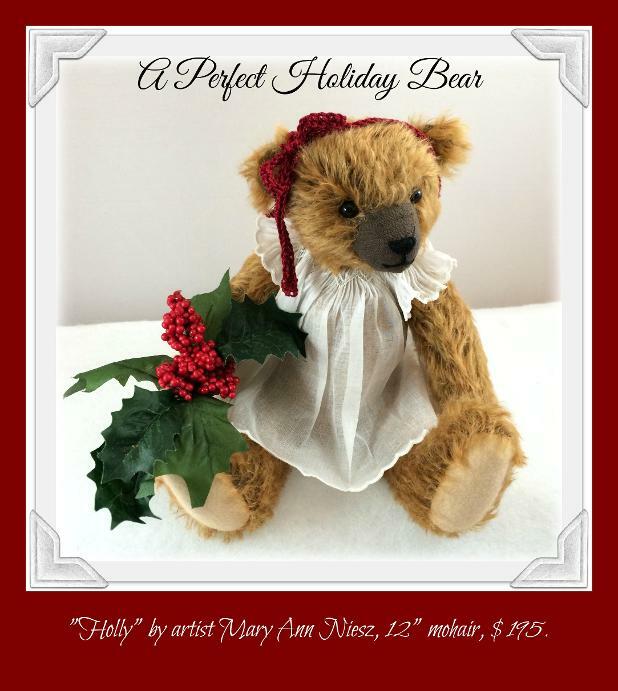 "Holly" is a wonderful mohair creation from our Artist In Residence, Mary Ann Neisz! About 12 inches in size, Holly is made from a lovely cinnamon mohair. She wears a dainty smocked white dress and hand crocheted headband in a dark red color. Her trimmed muzzle contrasts beautifully with her hand stitched nose and glass eyes.